TCW-GAV has been in the audio & video business a long time – since 1959. In that time, we’ve helped hundreds of Central PA organizations, large and small, upgrade their audio-visual equipment and improve their multimedia capabilities. 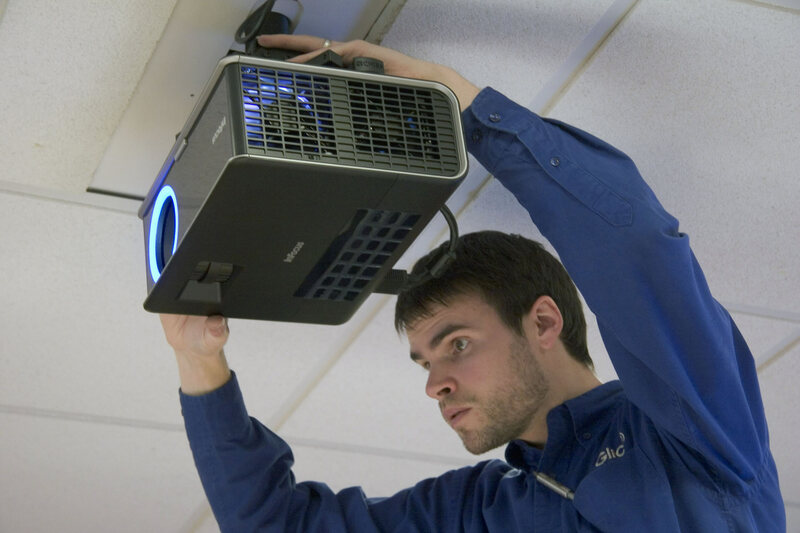 Some of the most popular audio-visual services we provide include sound and video system installations for classrooms, training and business environments, meeting rooms, and houses of worship. We also offer video conference room rentals. It’s common today for traditional churches and large, contemporary houses of worship to create a highly engaging audio-visual experience for their audience. TCW-GAV works with many local churches on AV equipment installation – helping to enhance the multimedia experience they deliver to worshipers. We also work with many educational institutions and senior care facilities to engage their audiences with an unforgettable audio-visual experience. Tired of tripping over your tabletop projector wires? Ready to stop crowding around the laptop at the weekly team meeting? We can design and install a professional, user-friendly meeting room customized to your exact needs. We’ve done so for many leading businesses here in Lancaster County and it’s always money well spent. Learn more about the AV equipment we offer.